There were two major influences on this chocolate chip cookie recipe: the Nestle Toll House back-of-the-package recipe (which I think we can all agree is pretty much The Standard as far as chocolate chip cookies go) and a recipe from Christina Tosi’s cookbook Milk Bar Life. It’s thanks to Christina’s chocolate chip cookie recipe that I discovered the wonders of this one special ingredient that makes all the difference. Have you ever used powdered milk in chocolate chip cookies or any cookies for that matter? Before coming across Christina’s recipe, it had never occurred to me to use milk powder in anything except my California Emergency Earthquake Preparedness Kit. Milk powder, also called powdered milk, keeps forever in the pantry (which is why it’s so good in emergency kits). Even once the package is opened, milk powder will keep for several months if kept in an airtight container. But nibbling on the first cookie in the batch, I was amazed by the subtle caramel flavor and slightly chewy texture it gave her chocolate chip cookies. Right then and there, I decided that milk powder deserved a spot in more of my cookie recipes — and particularly my signature chocolate chip cookies! Aside from the milk powder, this is a pretty straightforward adaptation of the Toll House chocolate chip cookie recipe — though I daresay I’ve managed to make a few improvements on the classic. I prefer an equal mix of brown sugar and regular white sugar, just like the original Nestle chocolate chip cookie recipe, but I’ve found that I like ever-so-slightly more flour in my cookies. This gives the cookies a sturdier structure that is both satisfying to eat and also less likely to crumble when squished into a lunchbox or shipped to a friend. I also highly recommend giving the batter at least a 30-minute chill in the fridge before scooping the cookies and baking them. This lets the dough have time to hydrate and firm up. If you’re in a rush, it’s fine to bake them right away, but they will spread out more and have a thinner, more delicate structure. Bake these cookies only until you see that the tops are fully puffed and the edges are starting to look toasty, then let them cool for a few minutes on the baking sheet before transferring them to a cooling rack. As they cool, the puffy dome will collapse on top of the chocolate chips inside, giving the chocolate chip cookies their signature crinkled, craggy appearance. This chocolate chip cookie recipe makes cookies that are absolutely irresistible on the day they are made: the edges are buttery and crispy, the middles are soft and chewy, and the chocolate chips are perfectly semi-melty. They lose some of their crispness overnight, becoming softer. But I promise they are no less delicious and no less capable of satisfying your cookie cravings. More Great Chocolate Chip Cookies to Try! If you're feeling wild, add up to 3/4 cup of any of the following: chopped nuts, peanut butter chips, crumbled graham crackers, rice krispies, cornflakes, toffee chips, or other small candy. 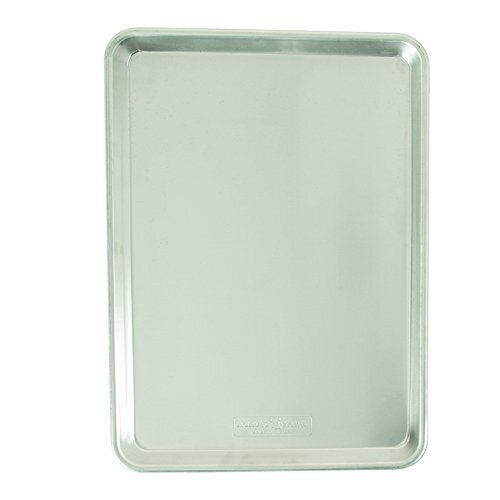 Freezer instructions: Freeze individual scoops of dough on a parchment-lined baking sheet until firm. Transfer to a freezer bag, squeeze out as much air as possible, and freeze for up to 3 months. Bake straight from the freezer, adding an extra minute or two to the cooking time. Adapted from Nestle Toll House. 1 Mix the dry ingredients: In a small mixing bowl, combine the flour, milk powder, salt, and baking soda and whisk to mix. Set aside. 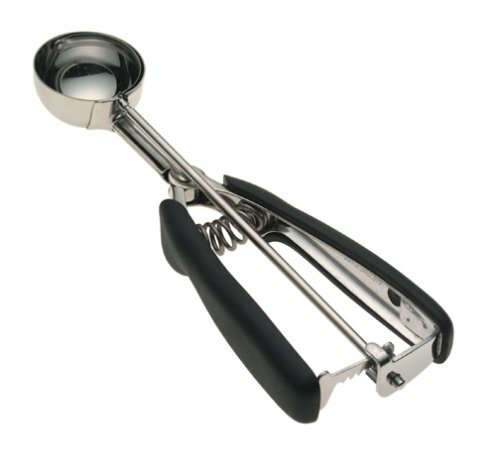 2 Mix the sugars and the butter: With an electric mixer or in a stand mixer with a beater attachment, beat together the granulated sugar, brown sugar, and softened butter on medium speed until combined, 30 to 60 seconds. Pick out any large pebbles of hard brown sugar that you see. Scrape down the sides of the bowl and the beaters. 3 Mix in the eggs and vanilla: Add the two eggs and vanilla to the butter-sugar mixture and beat at medium speed until no clumps or streaks remain, 10 to 20 seconds. Scrape down the sides of the bowl and the beaters. 4 Mix in the flour mixture: Add the flour mixture all at once. Beat on low speed just until no more dry streaks of flour are visible, 20 to 40 seconds. You may still see some flecks of milk powder -- this is fine. 5 Mix in the chocolate chips: Add all of the chocolate chips and beat on low speed for just a few seconds until the chips are evenly incorporated. 7 Heat the oven to 375F: Place a rack in the middle of the oven. 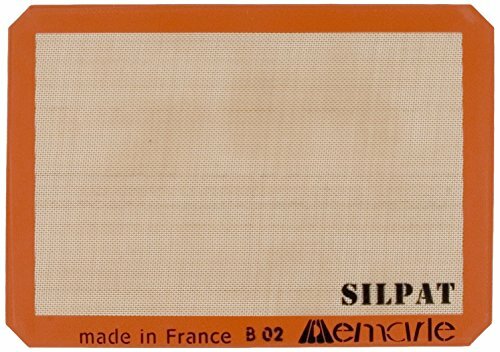 Line two baking sheet with silicon baking mats or parchment. 8 Scoop the dough: Use a medium cookie scoop (or a well-mounded tablespoon measure) to scoop the dough out onto one of the baking sheet. Space the cookies about 2 inches apart. 9 Bake the cookies for 10 to 12 minutes: While the first batch bakes, scoop the cookies for the next batch. The cookies are done when they look slightly puffed in the middle and are starting to turn toasty at the edges. 10 Cool the cookies: Cool the cookies on the baking sheet for about 5 minutes, or until the puffed middle collapses down and the cookies have firmed a little. Transfer the cookies to a wire cooling rack to cool completely. 12 Enjoy! These cookies are at their crispiest best on the day they are made. Store leftovers in an airtight container; they will soften a little overnight but are still very delicious. They keep for about a week before becoming crumbly (at which point, I recommend crumbling them over ice cream!). Hello! All photos and content are copyright protected. Please do not use our photos without prior written permission. If you wish to republish this recipe, please rewrite the recipe in your own unique words and link back to Chocolate Chip Cookies on Simply Recipes. Thank you! These were delicious! I didn’t have milk powder, so skipped that step and couldn’t notice a difference (I made these previously in a Sur La Table class). I didn’t have any semi sweet chocolate chips either, so I used 1/2 milk choc and 1/2 53% dark choc. Loved the mix! Took these cookies over for Christmas gathering, along with another kind, and these were scarfed up! Great tip about refrigerating the dough; hadn’t heard of that before. Fabulous. The original recipe from the Toll House Chocolate Chips package back in the 60’s called for 1/2 shortening and 1/2 butter. I remember because I was learning to measure and asked my mom why we couldn’t just use 1 stick of butter. Of course, when I grew up I did make the cookies with all butter – the cookies were softer, spread out more. With the shortening /butter mixture – the cookies are a little crispier and have a rounder edge. I did not realize the recipe had changed on the package until I let my daughters make the cookies using the package recipe – cookies were good, but not the “same” as the ones I had made all of their lives. I got soo much positive feedbacks for those cookies! thanks a lot! however, I put much less sugar and it was good decision! To really send your chocolate chip cookies over the top…. Try Browning your butter first. It ads an amazing deep richness that will set them apart. Has anyone used this recipe to create a mason jar recipe – is it possible to just dump everything together rather than cream sugars first? Hi, Ckz! So glad that you like the recipe! (Want to leave a review?! Wink wink!). Yes, I think you could just dump all the dry ingredients together, though my gut instinct is that the cookies might turn out a little more chewy and dense. Which wouldn’t be a bad thing, in my opinion, though I love chocolate chip cookies in every form. Let us know if you give it a try! I found this recipe and it sounds delicious. I was wondering if Crisco shortening can be substituted for the butter? Hi, Mar Jane! We haven’t tested it with anything except for butter and I fear the flavor would suffer using Crisco. This said, I do think Crisco would work ok if that’s all you have and you’re desperate for cookies! Made these tonight with my daughter. She has a test tomorrow and she has really studied throughout the day. She loves to cook and this was a great break and treat all in one. They turned out absolutely delicious! The only change I would make is add less sugar. Found them a bit too sweet. Sending them to school tomorrow for her friends. Aw, that’s such a sweet story! I hope your daughter does well on her test! I have been frustrated with the Tollhouse recipe for YEARS at my altitude (4500′) – they tasted great but were always flat. These modifications to that recipe were EXACTLY what I needed! I made the dough [late] last night, scooped them into balls and refrigerated it that way overnight. Baked them this morning and they were perfect (and a big hit at work)! This is my new go-to recipe for traditional chocolate chip cookies and I doubt I will ever need another. Thank you! I didn’t really taste a difference between these and the Tollhouse recipe. They were good. This recipe went over very well here! Made this today and everyone I served them to said they were wonderful, even though they usually prefer soft cookies. The only change I made was using Heath toffee bits instead of chocolate chips because those were all I had and I didn’t feel like going to the store. My family actually liked them just as well with the toffee chips instead, but i definitely will try it with regular chocolate sometime. Thank you! I have always added some oatmeal and a chocolate bar – well blended into a chocolatey powder. Next time I will have to try a bit of powdered milk. Delicious! Tip: Scoop cookies in to balls first and THEN refrigerate. Dough is significantly easier to handle and chills much faster. Ah! Great tip! I will definitely try that next time. There look really good! If the cookies lose their crispness, I’m okay with that as I like my cookies soft. Thanks, Paige! Please let me know how you like them!